Comedy’s newest “HAS-BEEN” Kathy Griffin wants to go back to 2006. Home → Damien Zone → Comedy’s newest “HAS-BEEN” Kathy Griffin wants to go back to 2006. 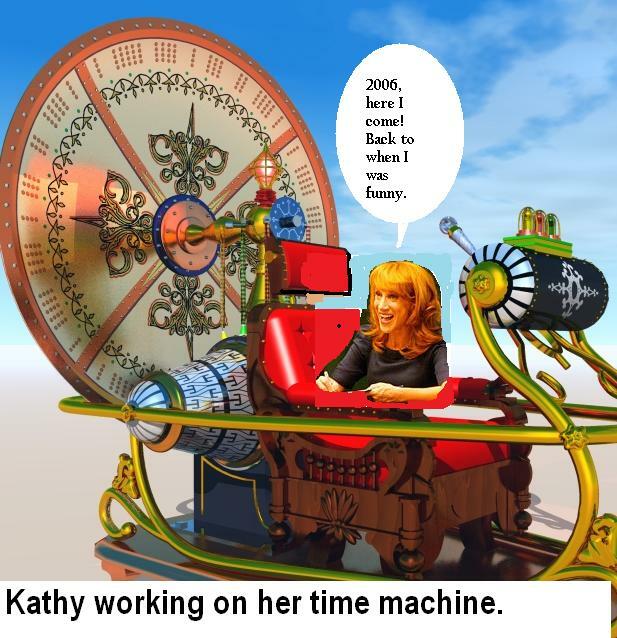 Kathy Griffin, former funny lady who got played out faster than Amy Winehouse, is building the time machine so that she can go back to 2006 when her jokes were fresh and mildly amusing. She is so forgotten, except amongst backward gays in Arkansas and Indiana, that she is no longer on the D – List. as a matter of fact, her publicity people are digging through ancient alphabets to find a more appropriate letter. 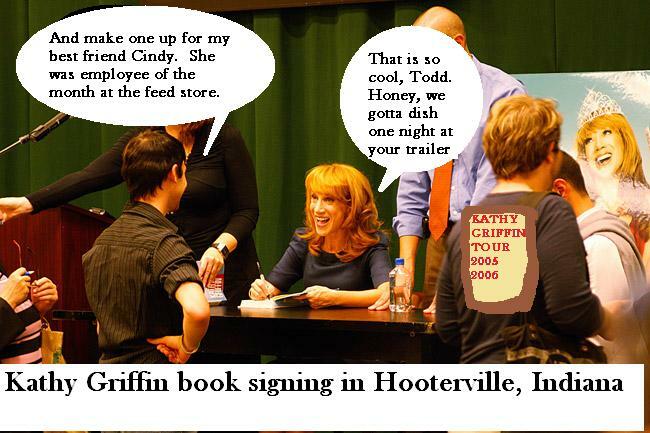 Griffin recently published a book but nobody really bought it outside of gay guys from Bumfuck, Indiana. Looks like Kathy is washed up, but it’s okay because doctors are saying that her misshapen arms legs and feet will not hold up much longer anyway and eventually Kathy would be doing her act from a mechanical mover like the one Sigourney Weaver used in the Alien movie. She still has a chance with this time machine and if it works she plans on going back as far as 2003 and working her way back. KANYE WEST coming out with his own line of paper plate macaroni clocks. DOCTORS AGREE, "Celine Dion's son René-Charles Dion Angélil is remarkably not ugly."